In Nigeria, studies in primary care show that depression is a common problem, with estimates in the range of 10-20%1,2. Depression is strongly associated with poverty and social disadvantage3; the majority of which occurs in low and middle income countries (LMIC). Depression is also a risk factor for suicide4. The Nigerian health system is characterized by extreme resource constraints, both human and material. For example, there is less than one psychiatrist to one million population and the few available specialists are inequitably concentrated in urban settings. It is generally recognized that a way to minimize the consequences of this specialist resource constraint is to integrate mental health (MH) into primary health care where services are mostly provided by non-physician primary health care workers (PHCWs). This innovation will train non-physician primary health care workers in randomized clinics in the use of the stepped care model. This will aid the health workers to administer better care for depression. “It is an awesome project; it should be incorporated into all primary healthcare centers. We no longer need to refer patients with minor mental illness to bigger hospitals that have psychiatrist"
The study will recruit adults with depression of at least moderate severity. The patient health questionnaire (PHQ-9) will be utilized to assess depression in recruited participants. Primary outcome, to be assessed at 6 months following recruitment, will be the proportion of cases who recover from depression. A care as usual arm, in which an enhanced usual care is delivered. Problem solving approaches have proven to be successful in the treatment of common mental disorders such as depression and anxiety3,4. The intervention proposed is pragmatic, has been fully manualized, and is based on a stepped care model. 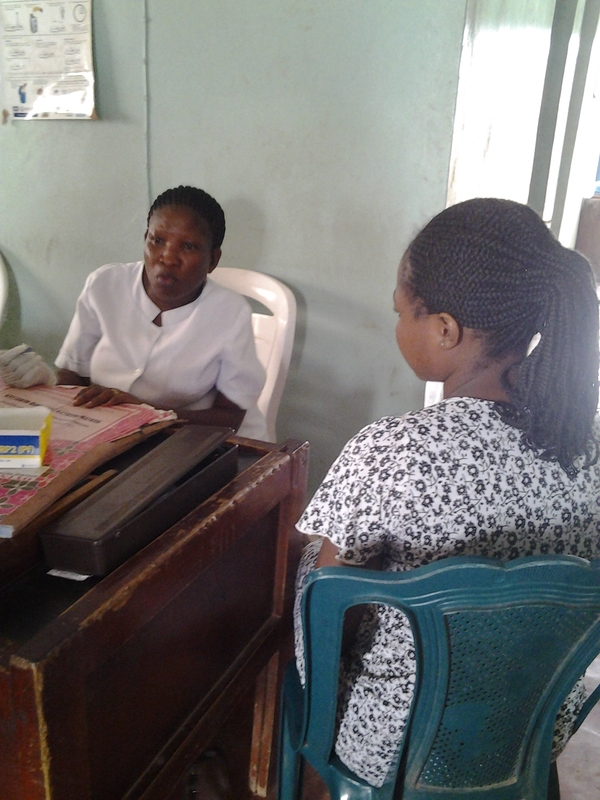 All individuals in this arm consenting into the trial receive STEP1 consisting of a psychological intervention delivered by the physician primary health care workers (PHCWs). Those individuals with Patient Health Questionnaire (PHQ-9) score greater than 15 at baseline are immediately assessed (with General Physician (GP) support) for medication. At 8 weeks all patients are assessed again with the PHQ-9 and those not responding or whose symptoms worsen (PHQ-9 ≥11 and/or a decrease of less than 50% on PHQ-9 baseline score) are moved to STEP2. STEP2 consists of an assessment with a GP with a view of initiating pharmacotherapy. If patients do not improve after this step, the case can be discussed with a psychiatrist by the GP in the final STEP 3, in the sequence covering up to 6 months. Subjects who are recruited in the control clinics will be informed of their PHQ-9 results and will be advised to show these to their health care providers. Prior to the commencement of the trial, a training exercise on the recognition of depression will be conducted for all participating providers. We have conducted such training during our pilot study and found that, though it improved recognition (leading to enhanced care), it did not significantly change the therapeutic skills of the providers in the control arm. Integration of mental health into primary care so that majority can assess mental health care easily. The result of the project could be presented to policy makers who can influence the government to speed up integration. The innovation is a two-arm parallel cluster randomized controlled trial, where the primary care clinic is the unit of allocation, and the individual participants are the unit of analysis. Data for evaluation of outcome measures will be collected during face-to-face interviews conducted by trained interviewers. All scales are to be administered in their Yoruba versions. The cost-effectiveness of this innovation is not yet known. Following the training of 52 primary health care workers in the usage of stepped care model, 637 patients are currently being treated with the stepped care model. Out of these patients, 225 are recovering from depression after receiving the stepped care intervention. Abiodun OA (1993) A study of mental morbidity among primary care patients in Nigeria. Comprehensive Psychiatry, 34(1): 10-13. Gureje OB et al. (1992) Prevalence of specific psychiatric disorders in an urban primary care setting. East African Medical Journal, 69: 282-287. Lund et al. (2010) Poverty and common mental disorders in low and middle income countries: A systematic review. Social Science & Medicine, 71(3): 517-528. Prince M et al. (2007) No health without mental health. Lancet, 370: 859-877.